Winter is not here yet and even if it were you can still visit the zoo! The zoo is always an exciting and entertaining place to spend time for people of all ages. Bring the kids, cousins, aunts, uncles, and grandma and grandpa. 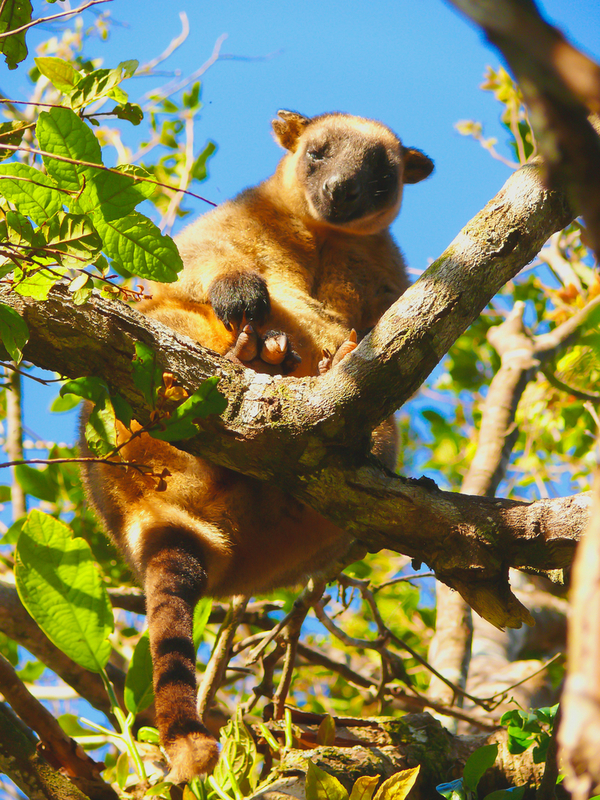 Your Livonia, MI dentist, Dr. James Stewart, suggests visiting Almond Joy, the Matschie’s Tree Kangaroo, the Zoo’s September animal attraction. General Admission: Adults 15 to 61 years of age: $14; Children 2 to 14: $10; Seniors 62+: $10; Active military w/ID: $10; Under 2 and Detroit Zoological Society Members: FREE; Check out our ZooMORE Prices! The Detroit Zoo has 125 acres of naturalistic exhibits for animals from A to Z – aardvarks to zebras. It houses over 2,600 animals from 265 species. Along with its September animal attraction, Almond Joy the Matschie’s Tree Kangaroo, the Zoo features award-winning exhibits such as the Arctic Ring of Life, the Great Apes of Harambee, and the National Amphibian Conservation Center. Almond Joy: Almond Joy, or AJ for short, is a male kangaroo who was born in 2002 and arrived at the Detroit Zoo in 2008. Tree kangaroo’s are unique in the fact that they can be found on the ground or in a tree, and can jump from 30 feet in the air without getting hurt. They usually weigh between 13 and 28 pounds and enjoy eating leaves, bark, sap, nuts, wild fruits, insects, and bird eggs. They can live up to 12 years. Be sure to stop by and see him while you’re visiting!